The arrival of Luis Enrique at As Roma have open a special link between Barcelona and the Italian giant as the new coach has already stated his wish in bringing some of the Catalan team’s young talents into the capital city. From some names that have been considered by Enrique, the Primera Liga’s young striker, Bojan Krkic, seems to be the one that having the most possibility especially after his agent confirmed the player’s strong interest in playing with the Giallorossi. 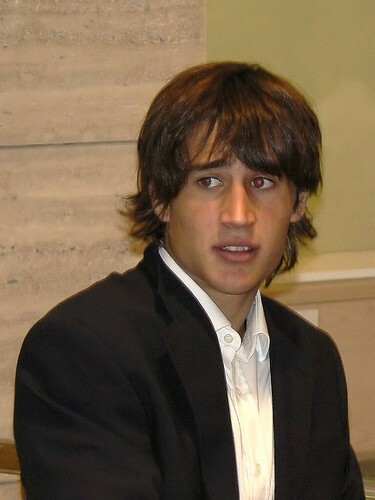 Krkic’s agent, Zoran Vekic, stated that considering the little chance to get playing time at Barcelona, following Enrique to Roma would be a better option for the young striker next summer as the ex-Barcelona B coach will surely give Bojan a reasonable chance. Moreover, Vekic also insisted that should the Giallorossi are really serious, getting a deal with the Catalan side won’t be difficult although the Italian team might acquire the striker in a loan deal with a buying option instead of getting a direct purchase. However, there hasn’t seem to be an official confirmation from Roma on whether they will actually make an offer for Krkic as rumors in Italy have been linking them with lots of players, and none of them are showing signs of arriving as just yet. So far, it seems that the management want to ensure who will be staying or leaving from Olympico before entering the transfer market and decide on which players they take on the summer. Surely, with Enrique’s knowledge over Krkic’s quality, the coach would be favoring and giving him a decent playing time, but the former Barcelona and Real Madrid midfielder hasn’t actually revealed the names that he also wants to tag along with him. Aside from the young striker, other Catalan youngsters who are also linked with Roma are, Thiago Alcantara and Martin Montoya, who were both Enrique’s boys during his short time at the Spanish champion’s B team.